The elusive whale shark, the world’s largest fish, seems to endure long periods of starvation and eats more plants than initially thought, a new study concludes. The ocean is an incredibly large ecosystem, hosting a dazzling array of creatures. You might have some trouble believing that a 12-meter shark weighing over 20 tons roams the seas, scouring the water for… plankton. Indeed, the whale shark I’ve just described is not a fearsome predator, but rather a filter-feeding shark, surviving on krill, fish eggs, crab larvae, and only the occasional small fish or octopus caught in its 1.5 m (4.9 ft) wide mouth. However, as a new study reports, they might also indulge in plant-eating, much more than previously thought. They also seem to go long periods without eating anything. Much still remains unknown the behavior and habits of the whale shark (Rhincodon typus) — and following them around is not very practical. So along with his colleagues, Alex Wyatt, a project researcher at the Atmosphere and Ocean Research Institute, carefully monitored the growth, diet, and health of three whale sharks living in an aquarium and two whale sharks living in ocean net cages. They complemented these observations with blood tests and tissue isotope analyses. “Whale sharks are one of the most exciting organisms to encounter for tourists and scientists alike, not just due to their sheer size, but also their grace and beauty. It is a privilege to unveil some of the mystery surrounding their lives,” said Wyatt. Wyatt found that several of the wild whale sharks had gone without eating for weeks or months, according to the blood tests. It’s unclear if they hadn’t found anything to eat or if they just don’t eat during their long migrations when the analyses were taken. Researchers also found evidence of substantial plant consumption, suggesting that the two might be connected. “This is a somewhat surprising and controversial finding, since whale sharks are generally assumed to feed strictly on higher levels of the food chain. However, some whale sharks have been found with seaweed in their stomachs and eating plants might make sense if feeding opportunities can become as limited as our blood tests suggest,” said Wyatt. Understanding these sharks is crucial for conservation efforts. Already, the species is classified as endangered by the International Union for the Conservation of Nature, as their numbers and habitat have decreased dramatically, primarily due to human activity like offshore drilling and fishing. 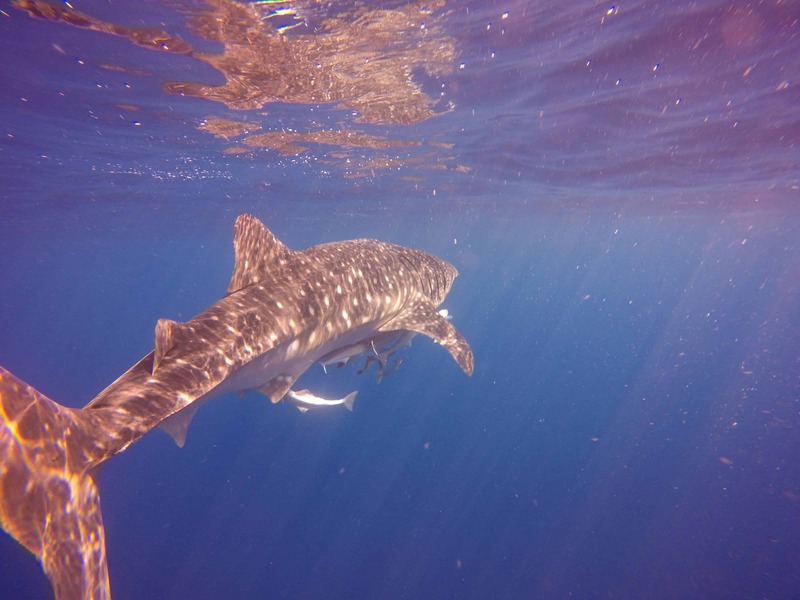 However, Wyatt cautions that his findings might only be representative of some populations of whale sharks in the wild. He plans to carry further, more thorough health checks. The study has been published in Ecological Monographs.